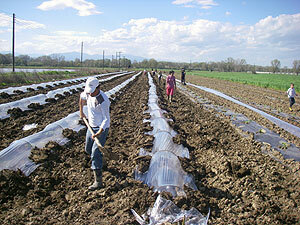 Our farming company produces watermelons in summer and cabbages in winter, which we export to the whole European Union. In addition to our own produced watermelons and cabbages we are also capable of producing other farming goods such as oranges, mandarins, grapes and pomegranates. We take extreme care in all stages of production: from the seed to the final product through to packaging and the exportation with refrigerated trucks to our customers. Our customers receive their goods reliably and on time at the best market prices and highest quality.